Ben, Ellie, Hannah, Chris, Steve, Matt, Kate, Jill, Karl, Ray, Peter, Syd. 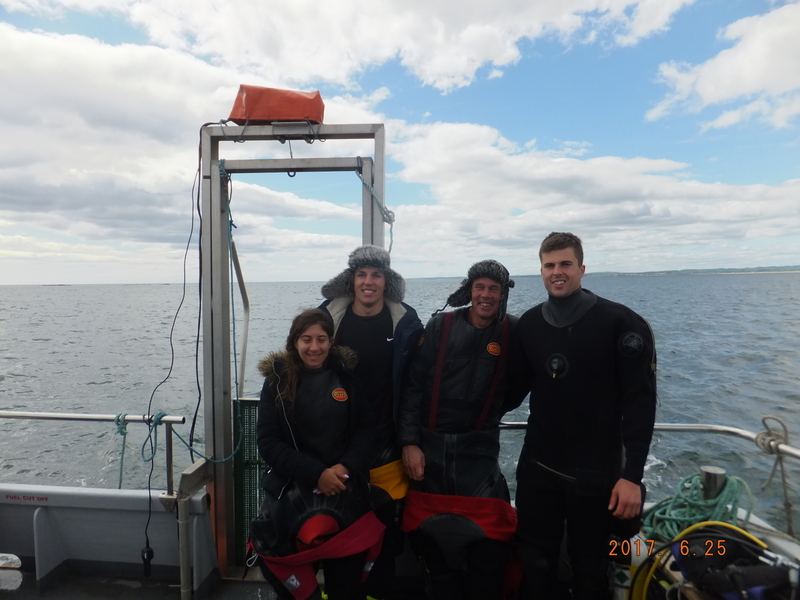 A team with some new to UK sea diving divers hoping for seals, and not to be disappointed. 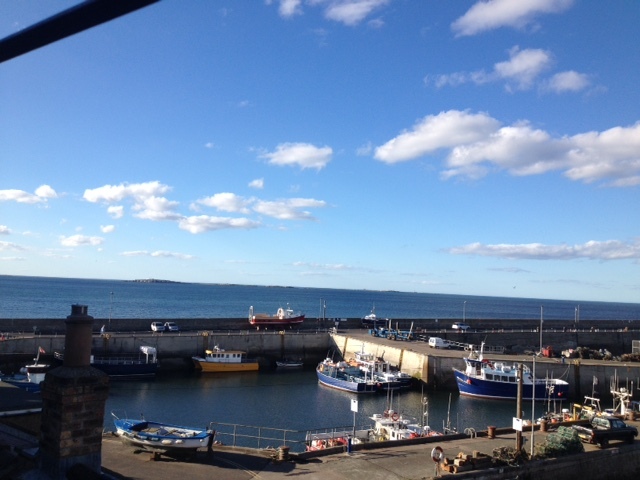 Into Seahouses after a Friday night drive and the Old Schoolhouse B&B. 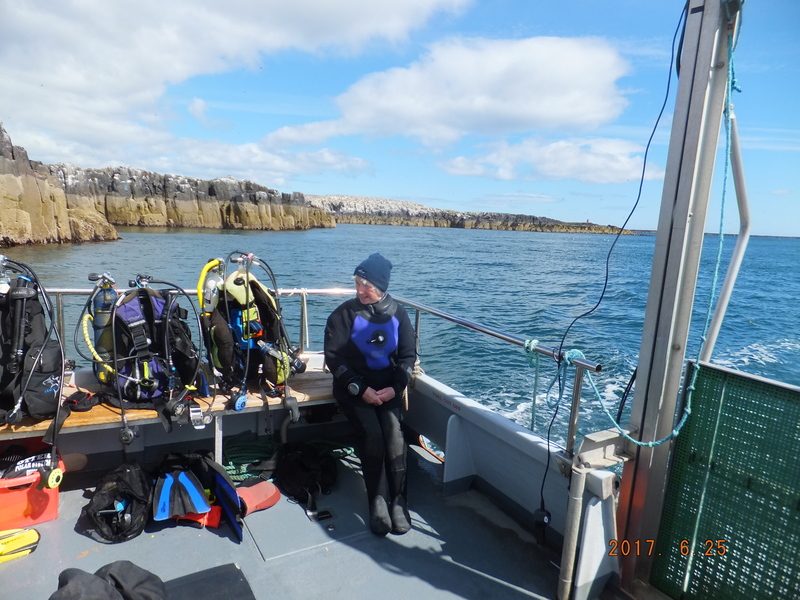 This made a good place to stay – close to the wild night life (and pubs, and fish and chips) of Seahouses, close to the fill station (special tanks to Steve’s van) and close to the harbour for a quick drive to the dive boat. The boat fitted us all comfortably with space for spare cylinders, sandwiches and typical diver health food picnics. Dive 1 on Saturday morning: North Wamses. 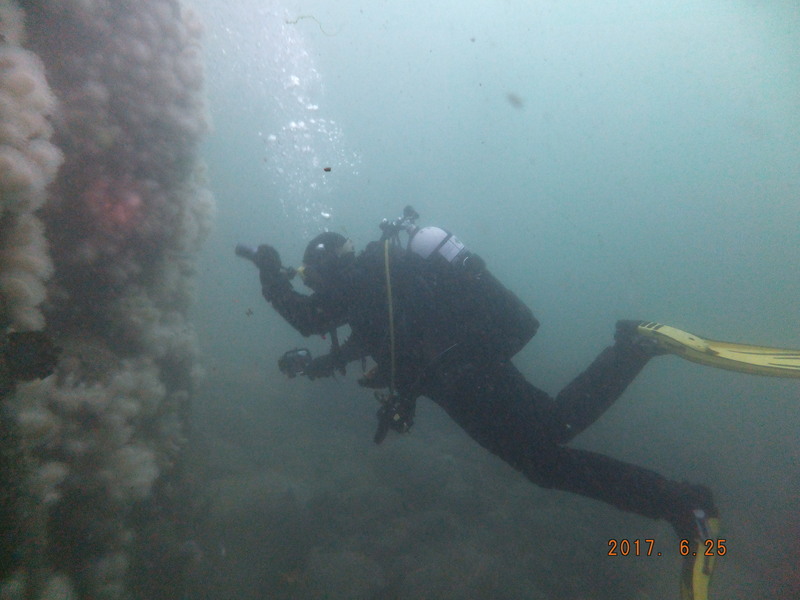 Easy diving down to around 17 metres with a very serene wall dive, with gentle sloping, lots of big rocks to explore and plenty of gullies. 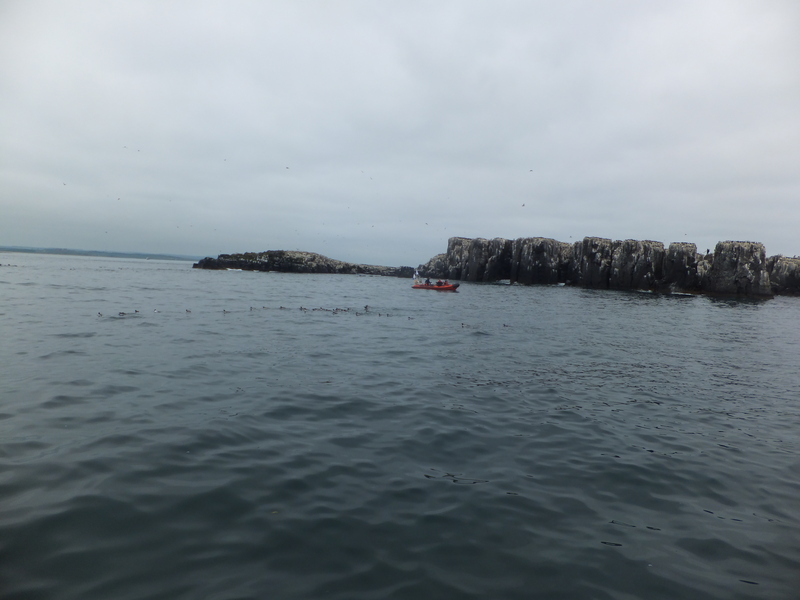 All of this was accompanied by some very close to the face and fin-nibbling seal encounters. Cute and curious. 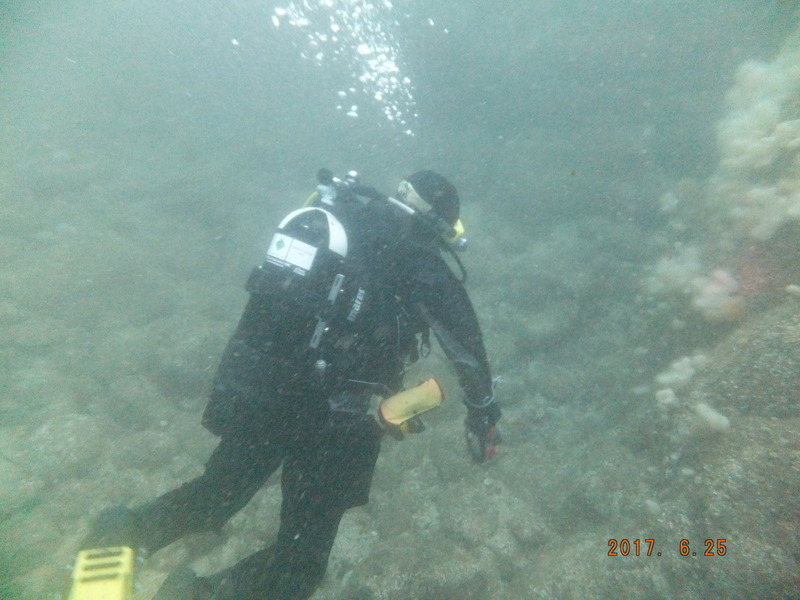 All the new to UK sea divers had successful missions and no incidents. 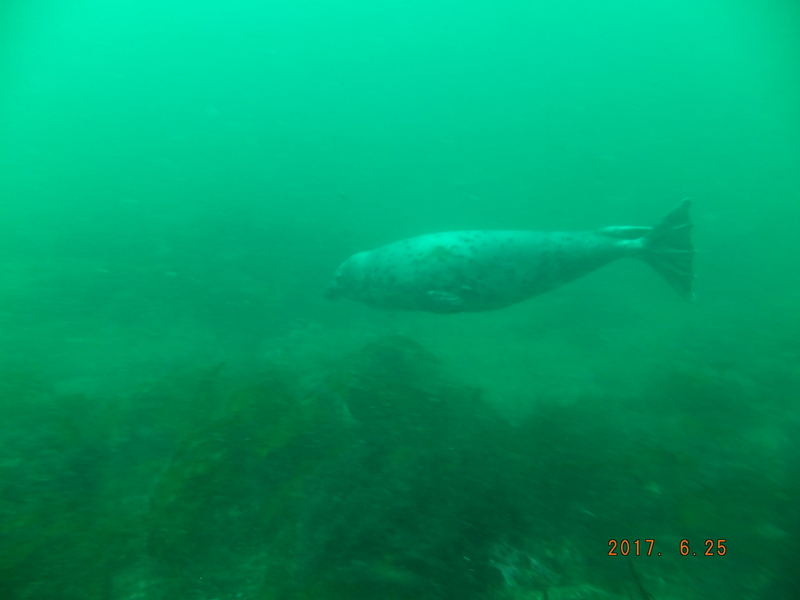 Dive 2 was Big Harcar, a 15 metre rock, gully and wall dive with some very laid back seals snoozing in the gullies. 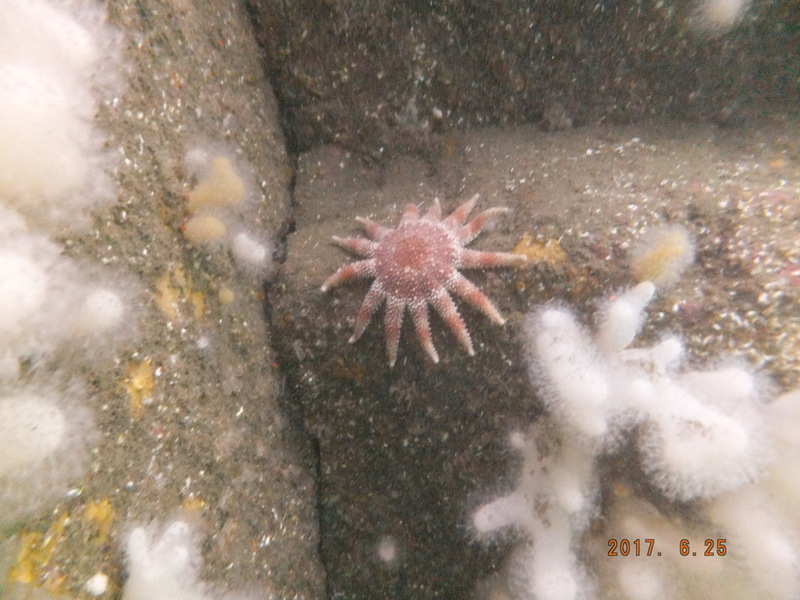 Lots of soft coral, plumose, crabs, dead men’s fingers, but too distracted by seal spotting to pay too much attention to other life. Saturday night saw us eating in the Ship Inn with good pub grub and a fine selection of ales. The other pubs of Seahouses were sampled too, including some interesting live music that had heading for the next pub at pace. 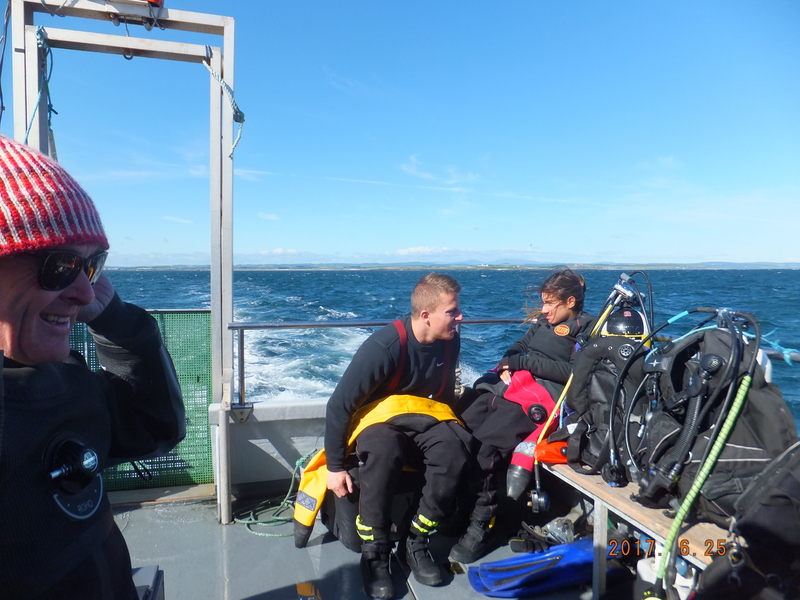 Sunday’s dives, after a fortifying breakfast, took us into The Hopper, an approx. 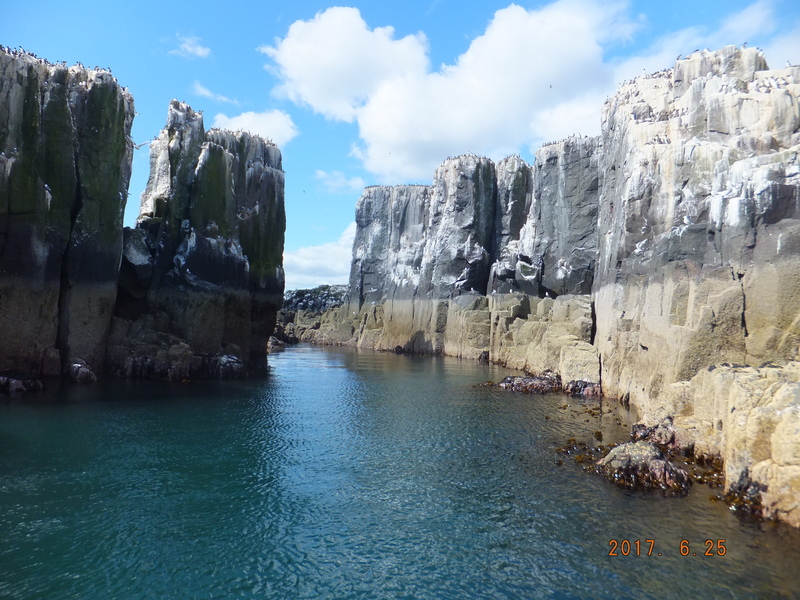 19m deep gully/crevice incised into the island with lots of current about 20m out of the mouth (don’t pick that up, said the skipper). 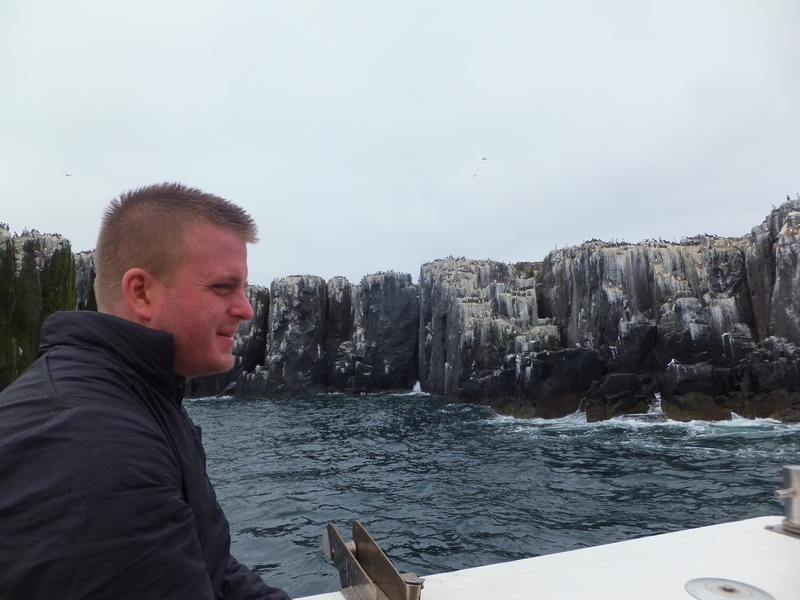 The “hopper” itself was full of seals, surrounded by seals and a great place to see and hear seals. 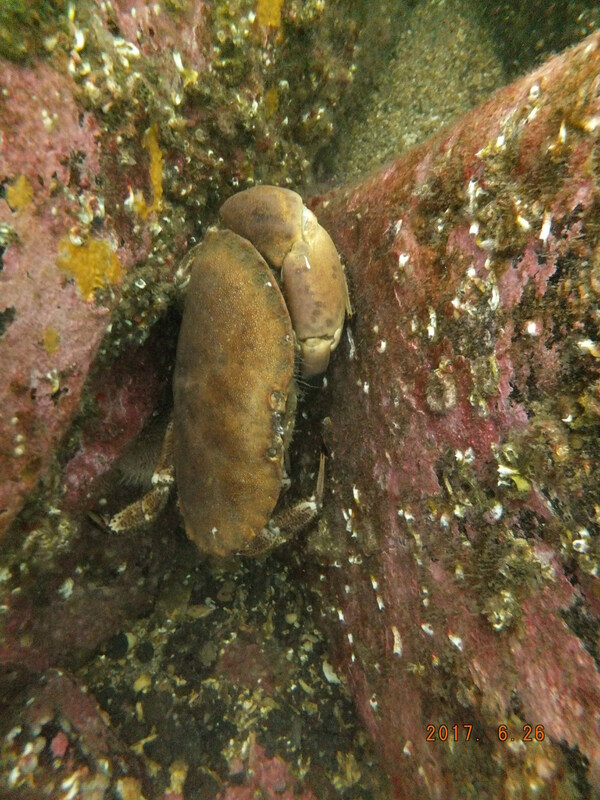 Plenty of squat lobsters, scorpion fish, velvet swimming crabs and anemones at the mouth of the gully to make a short seal dive longer and full of variety. Most surfaced fine, but an errant pair got caught in the current that was to have been avoided and ended up drifting out for a longer pick up. 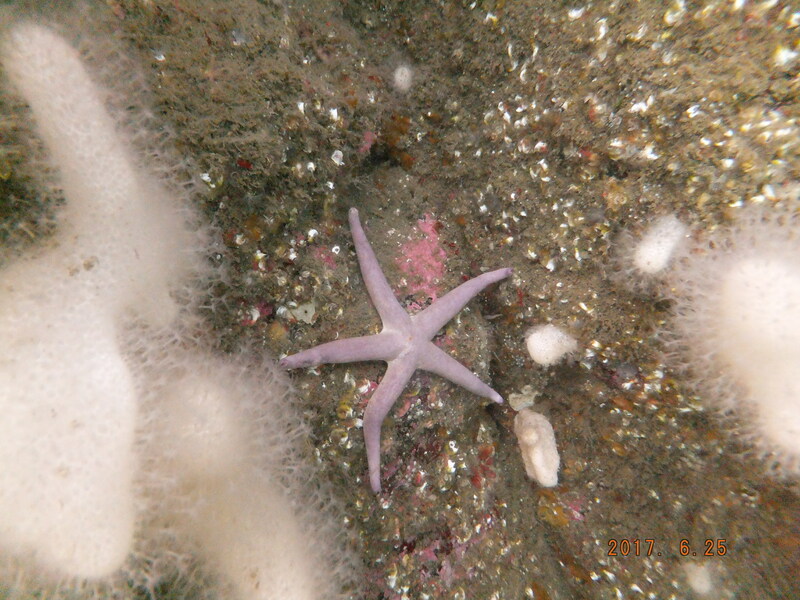 Dive 2 on Sunday was on Little Harcar, another 17m-ish dive with life-filled crevices, rock, nooks and crannies. 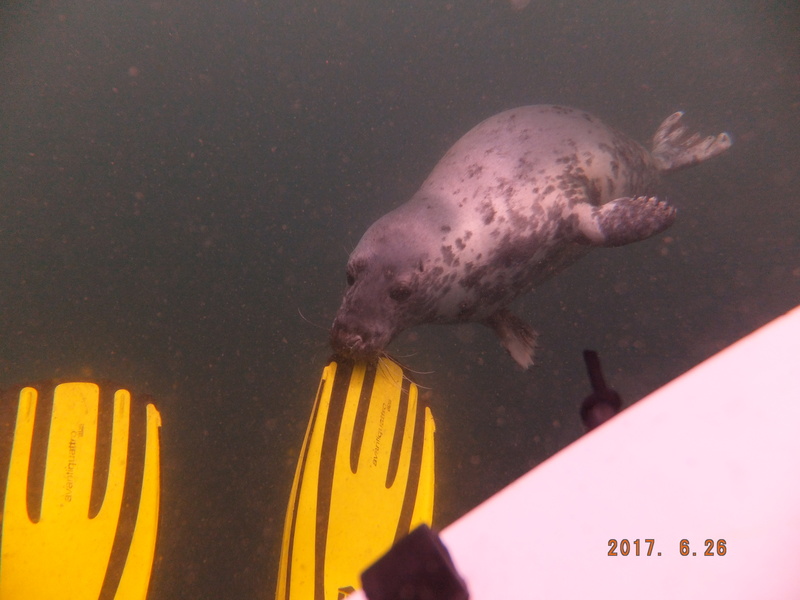 Great attention from the very playful seals on the ascent. 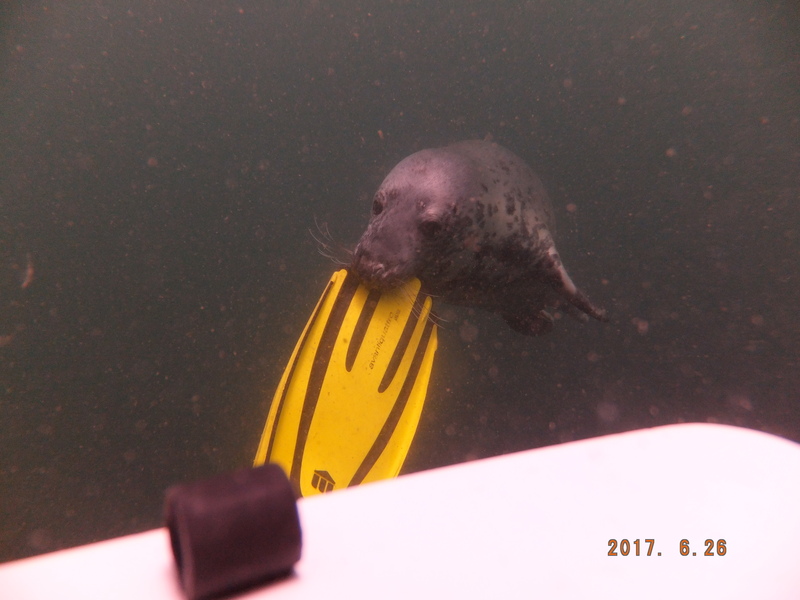 This was a great trip for all divers, but worked especially well for those new to UK sea diving and new to UK seal diving. 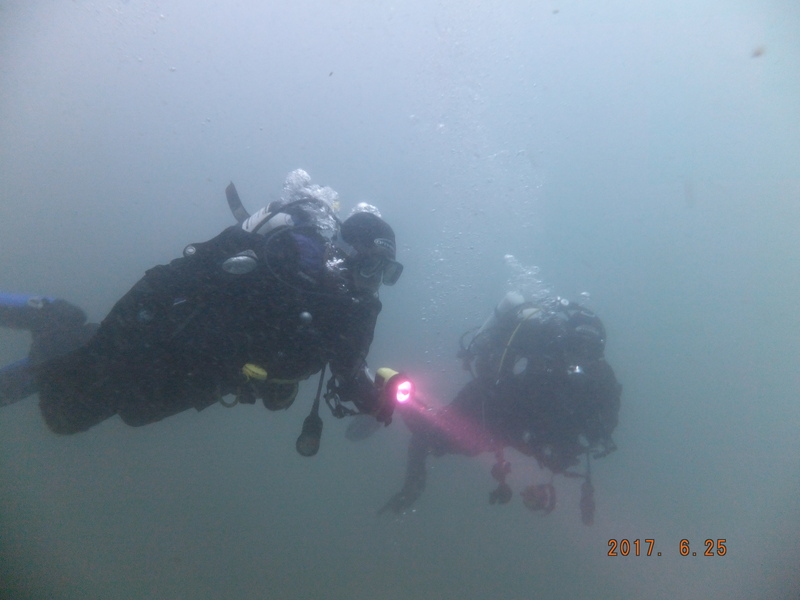 Thanks to Ray for the organisation and to all involved for a great weekend of diving in good company. 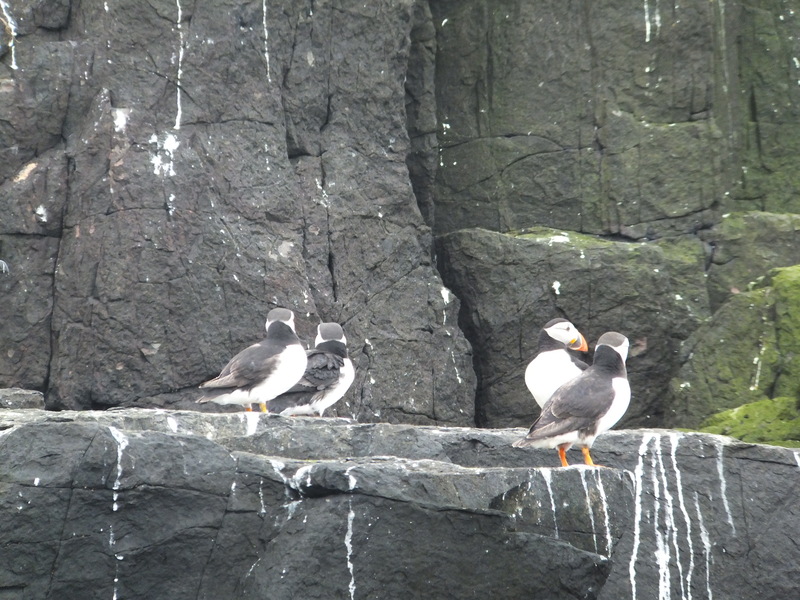 Jill has arranged a trip with Farne Diving Services (Stan Hall). 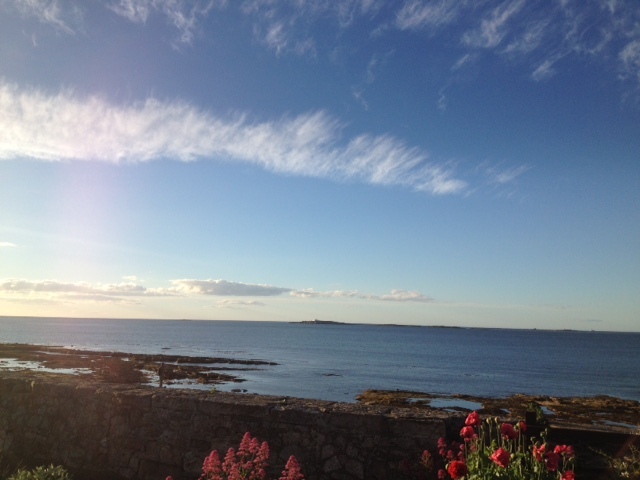 Staying in Beadnell. The accommodation will be Friday and Saturday and diving will be Saturday and Sunday. 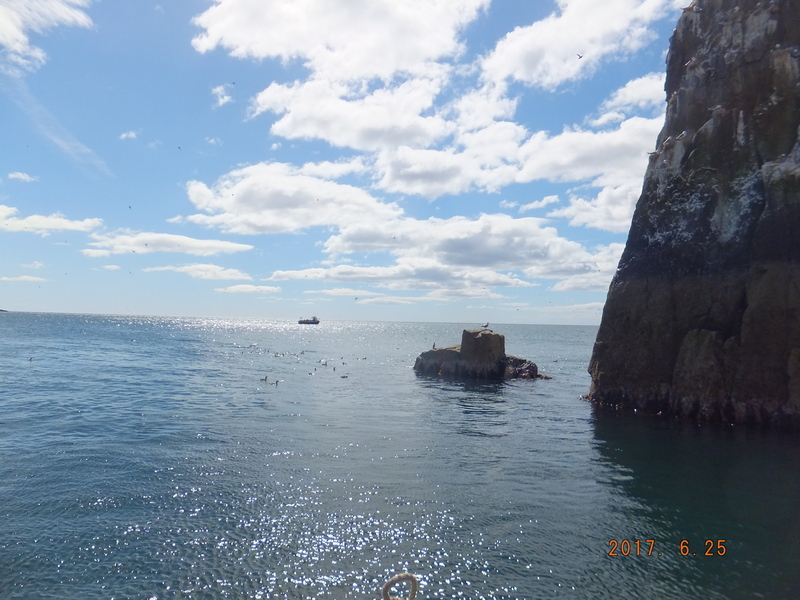 The cost of the weekend will be £120 and includes B&B accommodation and 2 boat dives per day (boat has a lift). ps there will be seals!!! !